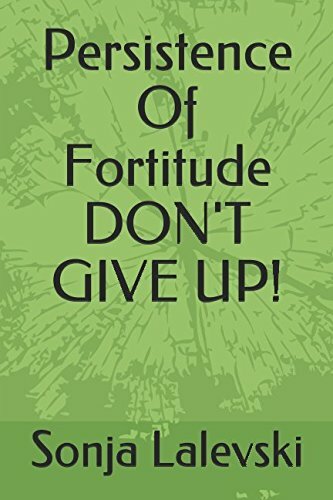 New Blog Post ➡ #FREE #KindleUnlimited #BOOK ➡ Persistence Of Fortitude DON'T GIVE UP! An Autobiographical story of an abused, suicidal, mental health challenged woman who has, had to overcome health and other issues. Somehow she managed to remain hopeful and positive all whilst changing things for the better. hence the the subtitle DON'T GIVE UP because she never really did.